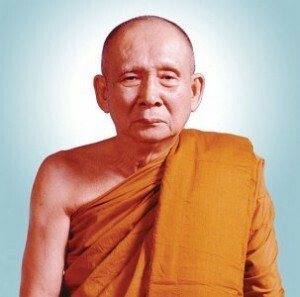 BANGKOK (Oct. 24, 2013) — His Holiness Phra Yannasangwon, the 19th Supreme Patriarch, the Head of all Members of the Sangha and the Supreme Buddhist Patriarch of Thailand died Thursday at age 100 in Thailand. Somdet Phra Nyanasamvara was appointed to the position in 1989 by King Bhumibol Adulyadej. He had turned 100 on Oct. 3, 2013. Born as Charoen Khotchawat on Oct. 3, 1913 in western Thai province of Kanchanaburi. Hindu statesman Rajan Zed, in a statement from Nevada, said he was saddened by the passing of Patriarch Nyanasamvara, calling him an influential spiritual leader of Buddhists who would be greatly missed. He praised Nyanasamvara’s interest in meditation techniques. Zed, who is President of Universal Society of Hinduism, said Nyanasamvara promoted education and campaigned for hospitals and schools in rural areas. He said the Buddhist leader also sponsored the establishment of temples and monasteries outside Thailand. More than 90 percent of Thais are Buddhists.